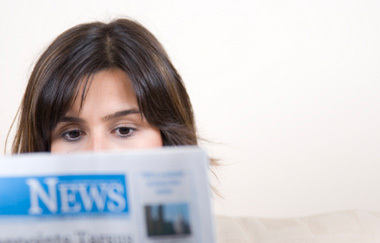 The section will keep keep you informed about all the CMAT latest news and events.! Meet the CMAT Board Members. Lovell Henry is a graduate of Sam Houston State University. 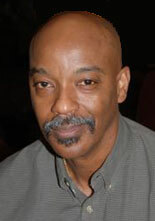 Lovell Henry has been employed with Sam Houston State University since March 16, 2000. He is the Custodial Services Supervisor with the primary responsibilities of directing the operational and personnel activities of the department as related to custodial staff in educational and general campus buildings. 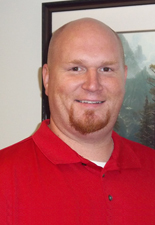 He has been a member of CMAT since 2000 and has enjoyed working with other board members to learn the organization. He has served as Vice President of Public Relations, Administration & Program, President and now serving as the Chairman of the Board of the organization. Over the years CMAT has become a learning tool for the Custodial Department of Sam Houston State University. The topics at the conferences cover a wide range of information and have helped us turn the department into a model for others. 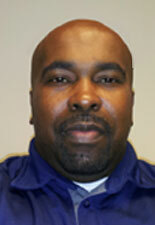 Lovell says, "I credit much of the success of the Custodial Department here at Sam Houston State University to CMAT." He enjoys his church activities and the work associated with it, spending time with family and friends, and playing dominoes. 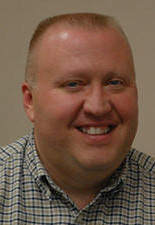 Wayne is currently the President of the CMAT Board and is the immediate Past Chairman of the Board. He is the Director of Building Custodial Services for Montgomery County and has work for them for 20 years; Wayne started out as a night shift custodian in 1986 and has been Director for 11 years. Wayne is very involved with his local community in many roles that he volunteers his time to help, past President of the Conroe Noon Lions Club, Board member of the local United Way, President of Robinwood HOA, and a Reserve Sergeant Police Officer with the Conroe Police Department just to name a few. Wayne is happily married and has two wonderful teenage children. Wayne states "I believe a lot of the successes I have enjoyed with my career have come to me, because of my attending the CMAT Conferences every year I have attend since 1999, due to the high level of training, professional speakers and the new ideas I have received at each Conference and when I say 'I LOVE CMAT!!!' I really do mean it!" 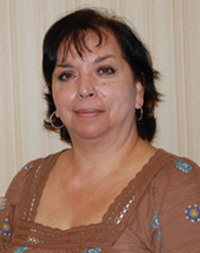 Judy is the VP Administration & Programs for CMAT. Has been employed with Spring Branch ISD for 25 yrs. and now employed with Katy ISD for 6 yrs. Judy started as a custodian in Feb. 1982 promoted to Elem. Head Custodian in Feb. 1982. In 1984 promoted to a High School as Head Custodian and had 18 custodians. In 1999 - 2004 was promoted to Supervisor. In 2004 came to work Katy ISD. as a Operations Supervisor/Trainer. She supervises 360 custodians including floaters, steam cleaning crew, equipment crew and 58 buildings, train every new hire custodial employee, including the Maintenance Dept. Assist the Director of Operations with monthly meeting, Mandatory Meetings by using my bilingual skills. Judy states "I feel privileged to be part of an organization that gives so much knowledge and expertise in the custodial field. In CMAT you have the opportunity to meet new friends and share ideas and learn from professional experiences. Everyone at CMAT makes you feel part of the Organization. In CMAT we are learning, training, and having so much fun. Believe me when we say " I LOVE CMAT"!!! Bobby Davis is a custodial manager at Rice University. Bobby has worked at Rice for thirteen years, with the last three as a manager. Managing sixteen custodians, Bobby's primary job is floor maintenance that includes stripping and waxing, spray buffing, and carpet extraction. For the last four years, Bobby has been a member of CMAT and will serve the CMAT board member for the first time. He has been married for ten years and loves spending quality time with his wife. In his spare time, Bobby loves to BBQ in his backyard, watching football and play basketball. Sheila Cleveland is a graduate of Prairie View A&M University. 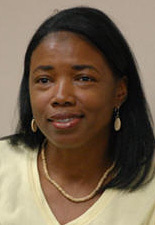 She has been employed with Prairie View A&M for over 21 years in several capacities. She has been the Custodial Services Manager for the last 12 years and has a very supportive staff. Sheila enjoys working with the faculty, staff, and students of Prairie View A&M University and the opportunity to serve others. Sheila considers it a great privilege and honor to serve as a CMAT Board Member and its statewide membership. Being a member of this great organization has afforded me the opportunity to gain additional knowledge and experiences through attending conferences, and networking with various CMAT Members. Knowledge and experiences that I have gained through CMAT over the years has been a great benefit to my professional growth and development as a Manager and to my institution. Conference Topics such as Employee Training, Personnel Issues, Diversity In The Workplace, Employee Motivational Tools, Latest Cleaning Technology and Methodologies, What's In Your Back Pack, and EEO Laws, are just a few that I have benefit from and brought back information to my place of employment and implemented to assist our staff in working efficiently to provide a quality cleaning service to the faculty, staff, and students of Prairie View A&M University. Hobbies include volunteer work, reading, mentoring, and daily long walks. James Dodson is the Operations Manager for the Montgomery County Building Custodial Services. James has worked for Montgomery County for 7 years, 3 of which have been spent has the Operations Manager. James is responsible for 65 custodians and over 90 County Facilities totaling over 3.5 million sq. ft. spread throughout the County. James has been a member of CMAT for 2 years and is proud to serve on the CMAT Board for the first time. James has been married for 4 years and loves spending time with his wife and kids. In his spare time he enjoys watching football and playing baseball. James says he feels very honored to serve on a board of such a very distinguished and well respected organization.